This article is based on some questions I had asked to my fellow colleague Saroj Shahi hoping to learn from his career journey. 1) How did you get into tech and designing world ? I’ve always been amused by technology and design ever since my childhood days. My uncle’s friend, who is a designer himself introduced me to web design as a profession. Started off by learning basic HTML, CSS from a reputed computer institution. Then, gradually taught myself photoshop and other design tools, along with the design principles. Finally, Landed a job back in 2011 and my career took off. 2) Can you describe the importance of Design in today’s world? For me, design is not only about pretty pixels. Its more about how you solve a complex usability problem and simplify it in the best possible way. Design is the first impression the product gives to its users or the audience. And I believe a lot of people today have realized this fact. 3) How do you keep yourself updated? I try to keep up with the latest design trends from design showcase websites like Dribbble, Material Up, Behance etc. I read a lot of article related to design thinking on Designer news, medium and other design blogs. And I also get inspirations from a lot of designers on twitter, instagram and facebook design groups. 4) What is the biggest challenge you face in your day-to-day work? The biggest challenge for Me and I think any other designer is to keep the creative juice flowing. And try not to be angry at people who don’t like your designs 😂. 5) What are your professional goals going forward? Learning more has always been my topmost goal. And also I want to contribute more to the community and help businesses solve complex design problems. 6) What kind of suggestions do you want to give to new students interested to pursue career as a Designer? First and foremost, ask yourself if you really want to take design as a career. If the answer is ‘YES’ don’t listen to anyone else and follow this article. Nobody gets better in a day or two. It will take time, be patient. 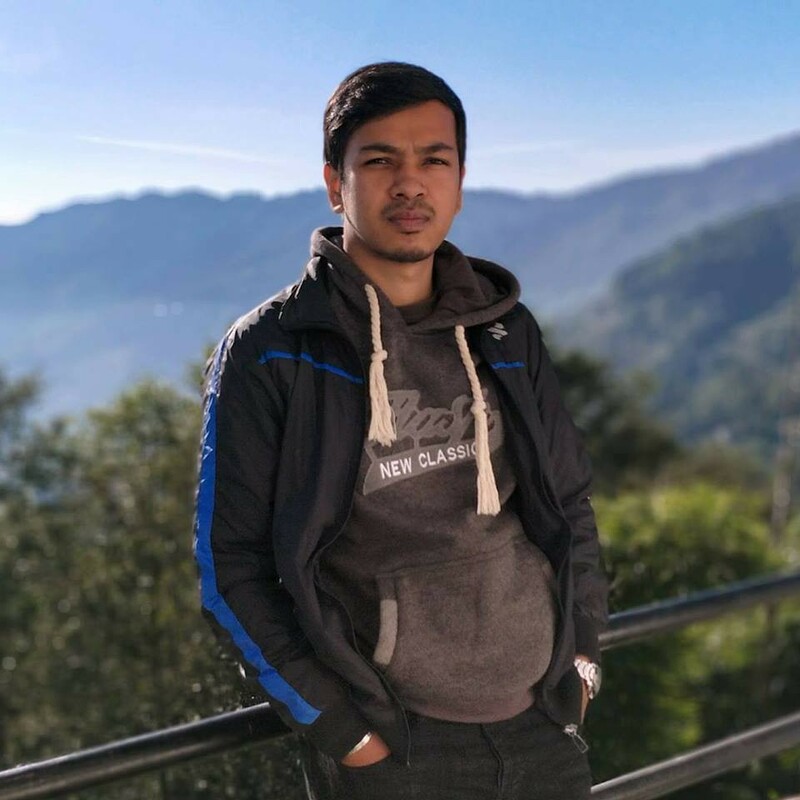 Saroj Shahi is currently working as a UI/UX Designer at Leapfrog. He has been involved in the industry for more than 6+ years. He loves Photography, Art and Music. He loves to inspire his colleagues like me. You can checkout his website and he is on medium, Twitter, LinkedIn and dribbble.